Over the last few months, I've become obsessed with bodycare products. There's just something about applying and using products that smell heavenly and then last on you. I have a serious issue with getting perfume to last on me all day, to counter this I have found that using products that soak into my body are much better for me. There is a whole basket in my room that is full with different soaps, creams and bath bombs, all ready to use depending on my mood and I just take whatever I fancy that day. 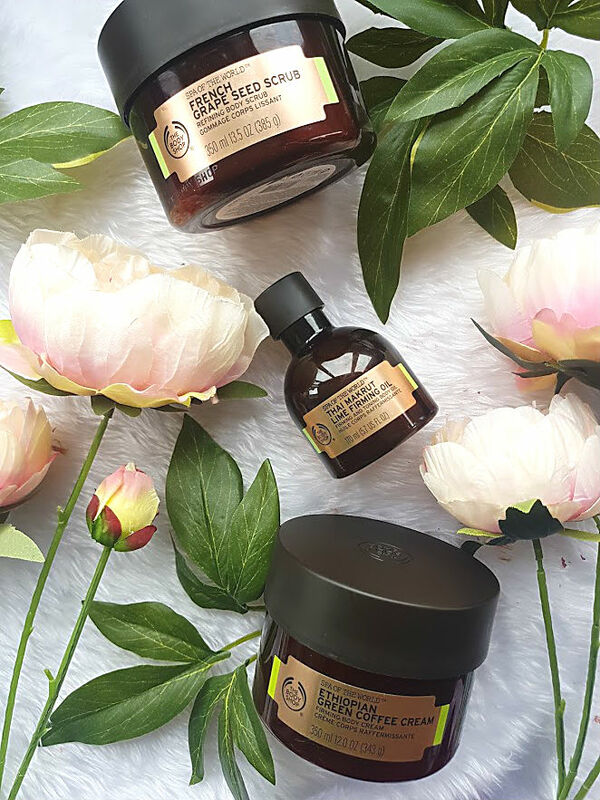 One range that I have been loving recently is The Body Shop Spa of the World Range, not only do I love using each individual product in the morning but at the weekend I use all of them together to give me that at home spa experience. These three products in particular have just been released in the UK this week and no doubt will be very popular due to their luxury feeling but budget friendly prices. All of the products have been designed to firm and tone the body, I haven't seen much of that yet as its only been 2 weeks of me using them but hopefully using them more will show some results. Every other day, I have been using the French Grape Seed Scrub (£22) on my legs and arms. Paying particular attention to knees and elbows, these parts of my body are so dark! I haven't done anything to them nor are they bruised they are just dark and very dry. I'm hoping that continues use of a scrub will help lighten these marks. 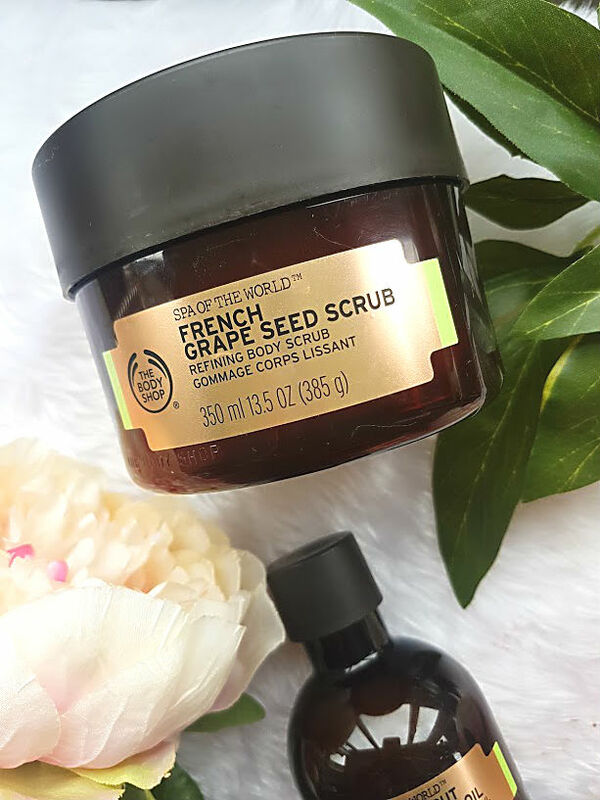 The main ingredient in this scrub is grape seed extract, brands have been using grapes in their products for years because it holds so many benefits such as maintaining skins health. The scrub is very fine, if you look at the picture below its the one on the right and the grains are so small but very powerful. 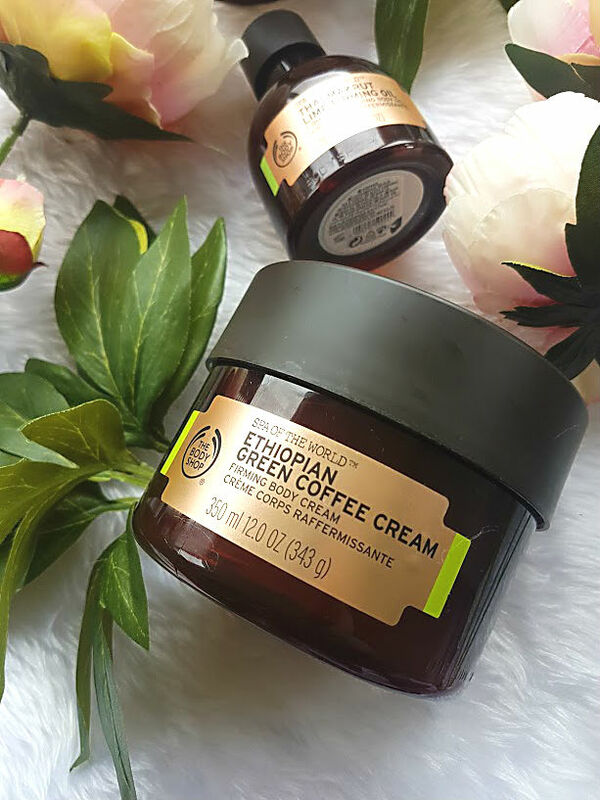 From the new range, my favourite product has to be the Ethiopian Green Coffee Cream (£25), who doesn't love a good moisturiser? This cream also claims to firm the skin but I am just loving it in general. Its very thick and when massaged into the skin it feels incredible, my skin has never felt so smooth! My legs get very dry in the summer, probably because they come out of hiding after 6 months. I find with some body creams that even after applying it in the morning, my skin will still go dry later on - but with this cream I don't find that. It stays hyrdated and smooth. As a bonus, it also smells like freshly grounded coffee which is just incredible. Coffee has become a huge ingreidnet in bodycare recently, with brands bringing out scrubs and shampoo that contains the everyday ingredient - so it is perfect for your skin this summer! 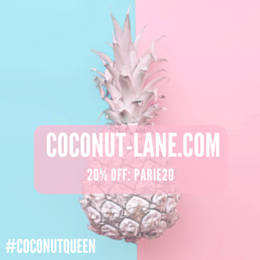 I love a good oil, coconut oil has become my newest obsession! But truth be told, I have only ever applied oils on my face and hands, never my entire body. Oh my goodness me, body oils are my new favourite thing in the world and I need MORE. 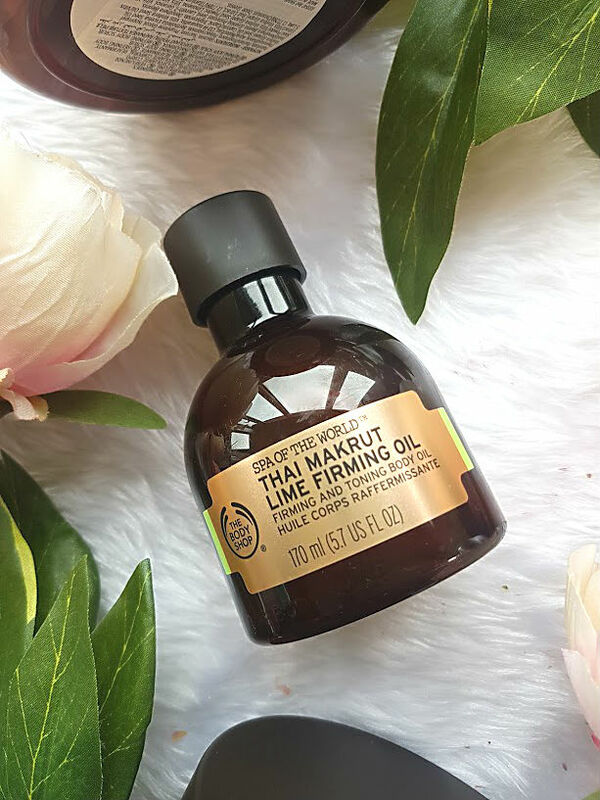 The Thai Makrut Lime Firming Oil (£18) is incredible. Its infusing with lime which can be off putting because of the citrus scent but it smells divine - like summer in a bottle. Despite it sinking into the skin within seconds, I prefer using it at night as it helps me from wanting to scratch the hell out of my legs. Anybody else do that? Scratch your legs like a mad person! I've started to give myself a mini massage when using it too to help relieve my legs of any pain from the day and on my injured knee it feels amazing. 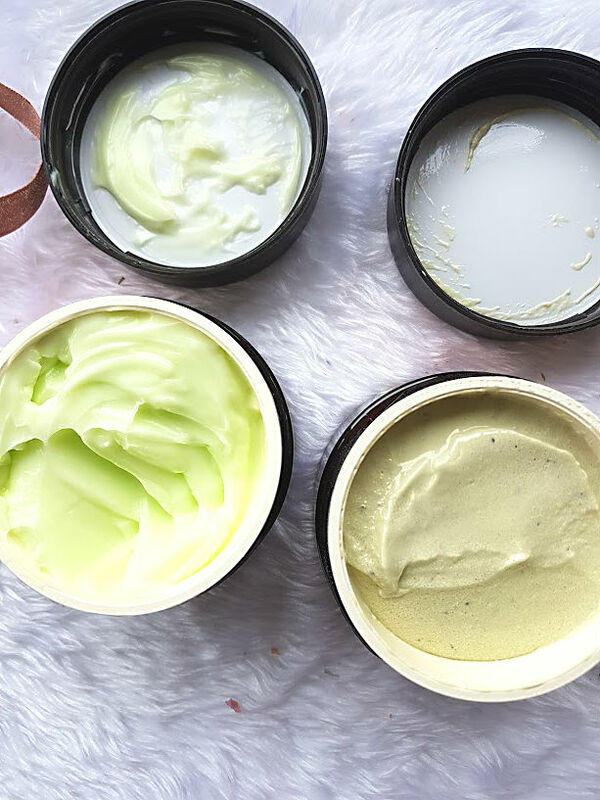 I love the idea behind this whole range, even though I haven't experienced or seen the firming and toning benefits of the range, I love the product on their own and they do feel just like spa worthy products.